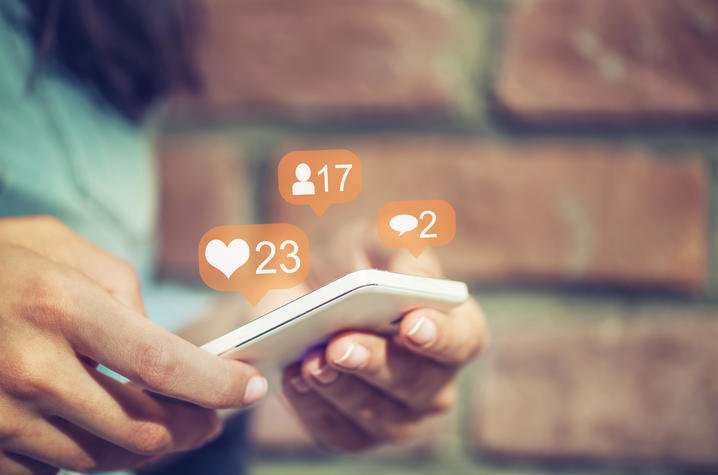 From Facebook and Twitter, to Instagram and Snapchat, it's no secret social media has become a common form of communication, but have you ever left your feeds feeling bad about yourself? If so, you're not alone, according to a new study conducted by Ilyssa Salomon, doctoral student, and Christia Spears Brown, professor of psychology, at the University of Kentucky. "If you walk by any group of teenagers, you will notice that most of them are intently staring at their phone. Almost all of them, regardless of social class, race or gender, are on social media," Brown said. "Social media has become ubiquitous among teens, even prominent in the lives of teens too young to get their own account. The problem is that researchers are still unsure of the effects of social media use on teens' development." "Adolescents are especially vulnerable because they are undergoing a lot of physical, social and psychological changes that are a normal part of growing up. With puberty, adolescents' bodies are changing in many different ways," explained Brown. "They are more focused on the opinions of their peers than ever before. All of these developmental changes place early adolescents at greater risk for developing negative body image, and in the worst-case scenario, subsequently eating disorders." "It is really teens who are focused on others for approval and try to adapt their behavior to fit in, as well as adolescent girls, who seem to show the strongest links between social media and body image," Salomon explained. "Second, our results found that boys and girls in our sample did not differ in attitudes about their body. A lot of previous research has shown that girls have negative body image, but boys don't think much about their appearance. Our results suggest otherwise, that boys are also unhappy with their bodies."